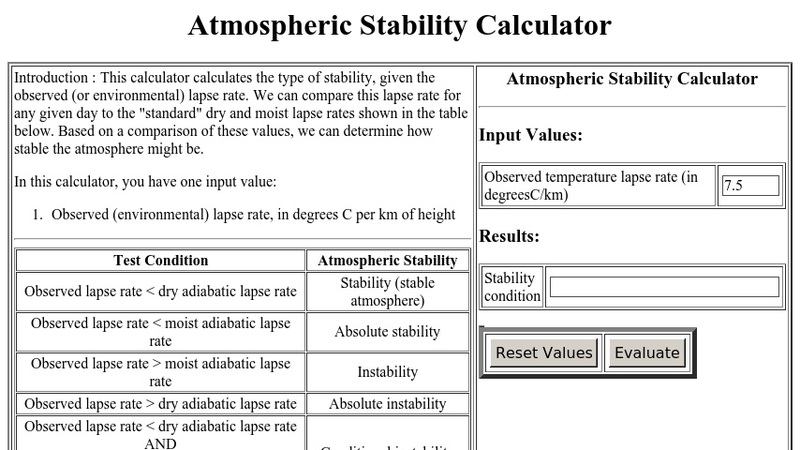 This calculator calculates the type of stability, given the observed (or environmental) lapse rate. We can compare this lapse rate for any given day to the "standard" dry and moist lapse rates shown in the table below. Based on a comparison of these values, we can determine how stable the atmosphere might be.